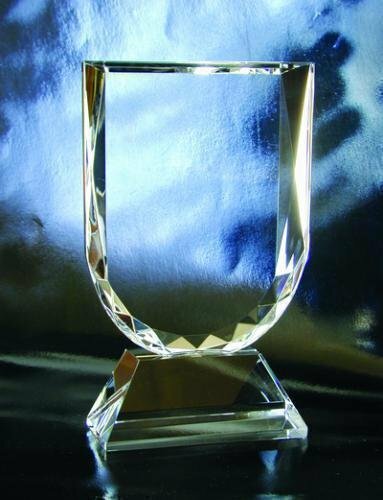 The Prestige Crystal award is made from fine lead free crystal and offers a large engraving area on the 3 different sizes. 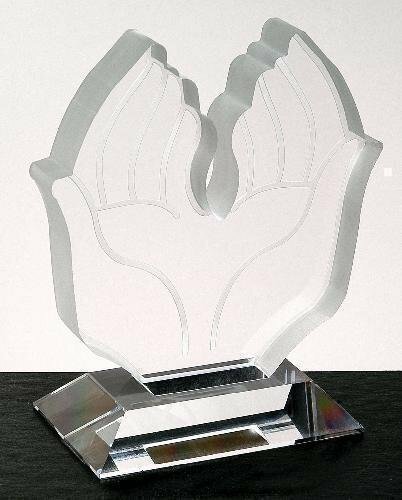 This simple star-shaped award gives iconic meaning to any accomplishment because it is a universal symbol of a momentous event. Choose the Prestige Star to honor individuals that deserve the highest praise. Allow achievements to shine brightly with our optic crystal Prizmas. These spectacular pieces feature bold geometric cuts and plenty of weight. A group of stars shining brightly is represented in the stunning design of the Prominence Award. Each star surrounds another, adding even more magnitude to this award - a captivating design with show-stopping quality! A very impressive corporate award or specialty gift - the possibilities are endless! An impressive diamond shape with four beautifully carved beveled edges reflect true elegance and success.